Payton is a penguin covered in flippable sequins that alternate between blue and gold when you run your hands over them. 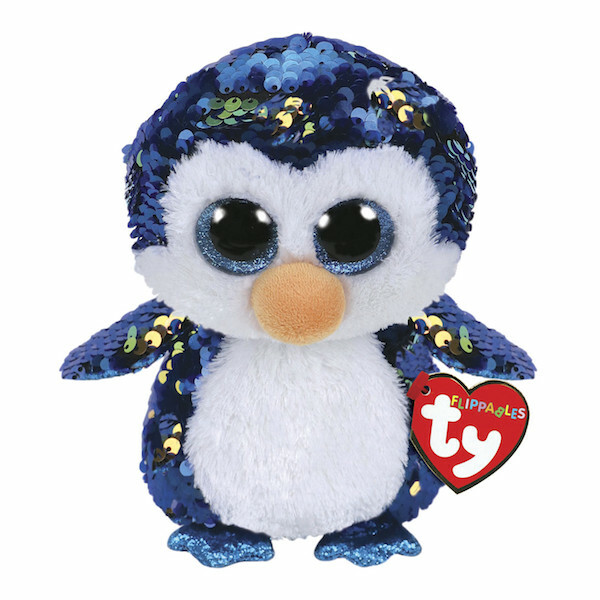 He has large, glittery blue eyes and an orange beak. He has a white face and belly and sparkly blue feet. Payton was released in June 2018. His Birthday is on 20th January. Payton is part of the Ty Flippables range covered in reversible sequins that change colour when you run your hands over them. This is the medium 9″ Flippable version of Payton. He was also released as a small 6″ Flippable and as a key clip.